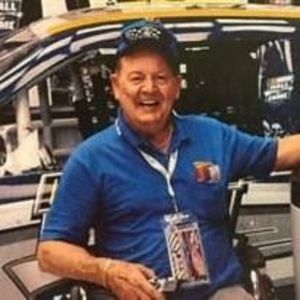 Harold James O'Quinn, 77, passed away on December 22, 2017 surrounded by his loving family. Harold was born to the late Walter and Virginia O'Quinn in Sanford, North Carolina on August 22, 1940. He is survived by his wife of 55 years, Nickie O'Quinn, daughters; Susan Wilson and husband Mike, Dana Woodall and husband Damon, granddaughters; Callie Taylor and husband Terryn and Carlie Wilson,great-grandson, Cooper Taylor, brother, W.J. O'Quinn. He was preceded in death by his brother, Jerry O'Quinn. Harold was a hard working, loving family man, husband, father, grandfather, and great-grandfather. He loved to joke around with everyone, traveling, and living life to the fullest. In lieu of flowers, please make memorial contributions in his memory to the Salem Baptist Church Building Fund, 1821 N. Salem Street, Apex , NC. A celebration of life with military honors will be held on Wednesday, December 27, 1 p.m., Salem Baptist Church, 1821 N. Salem St., Apex. The family will receive guests on Tuesday, December 26, 6 p.m.- 8 p.m., Apex Funeral Home, 550 W. Williams St.